You are here: Home » Games » FIFA 13 » Pre-Order Your FIFA 13 Here! 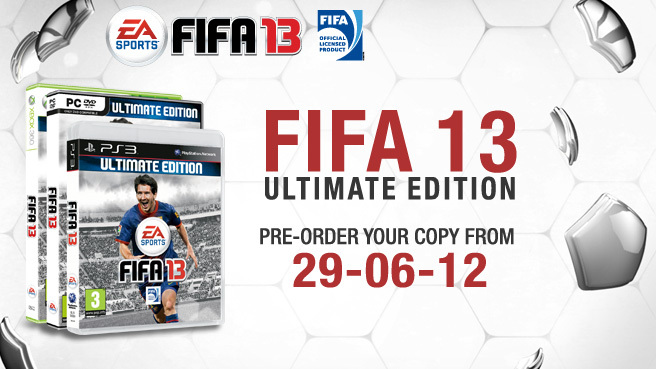 The FIFA 13 Ultimate Edition is available only through pre-order or on Launch Day (September 25th in US and September 28th in UK) so get your pre-order today and don’t miss out. 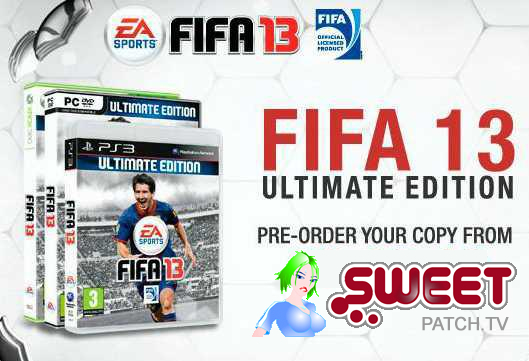 Check out everything you need to know in this definitive guide and be sure to use the appropriate link below where you can pre-order your copy of FIFA 13 from Sweetpatch TV and help support your FIFA community site at the same time!